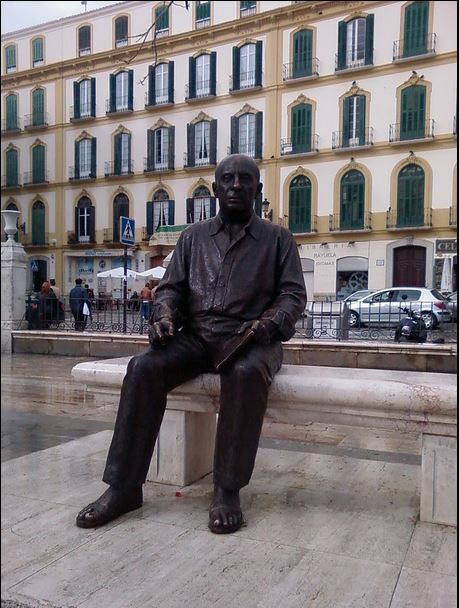 This sculpture, which is dedicated to the famous painter and sculptor from Malaga, Pablo Ruiz Picasso, was made in bronze by Francisco Lopez Hernandez, representing the artist sat on a marble bench with a notebook and a pencil. It was inaugurated on December 5, 2008. The work is in the Plaza de la Merced, opposite the birthplace of Picasso, home of the Picasso Foundation. The proportion of the figure is slightly higher with respect to the actual height of Picasso.